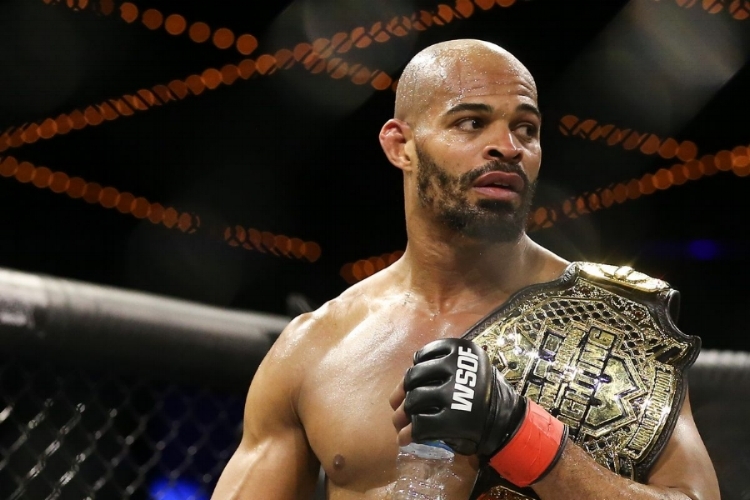 Former UFC middleweight champion Luke Rockhold will see his 15-month layoff come to an end in September when he meets former WSOF champion David Branch in the UFC Fight Night 116 main event. UFC officials today announced the middleweight bout between Rockhold (15-3 MMA, 5-2 UFC) and Branch (21-3 MMA, 3-2 UFC), along with several other fights on the card. UFC Fight Night 116 takes place Sept. 16 at PPG Paints Arena in Pittsburgh. The card airs on FS1 following early prelims on UFC Fight Pass, though the bout order hasn’t been finalized. Rockhold, No. 4 in the latest USA TODAY Sports/MMAjunkie MMA middleweight rankings, hasn’t competed since he lost the 185-pound title to Michael Bisping in a stunning upset at UFC 199 in July 2016. He was scheduled to fight Ronaldo Souza at UFC Fight Night 101 in November but was forced to withdraw due to injury. No. 7 Branch, meanwhile, was successful in his return to the UFC in May when he scored a split-decision win over Krzysztof Jotko at UFC 211. He’s 13-1 since his initial UFC release in 2011, including a successful run under the WSOF banner where he claimed titles in two weight classes.